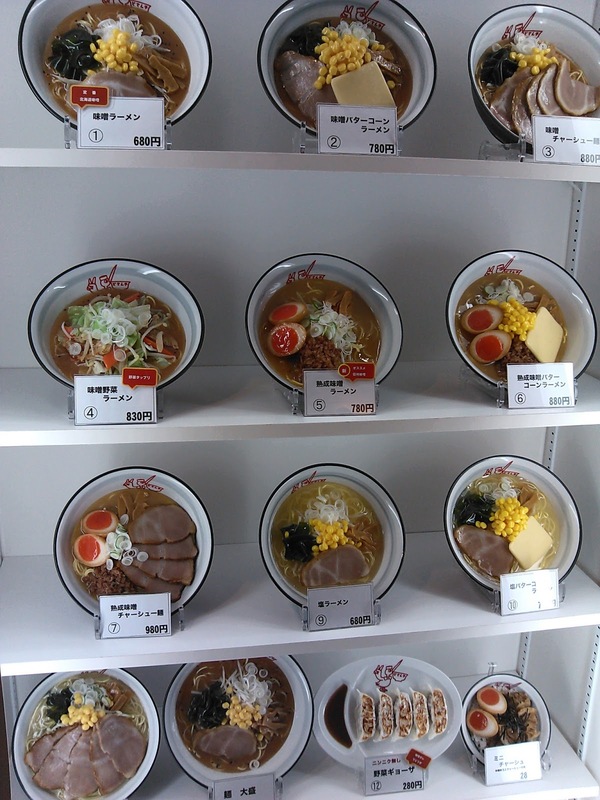 You might remember, a few posts ago, that I tired to find a particular ramen (soup noodles) shop for lunch, and failed, but ended up having lunch at a different one (I think it was the cherry blossom and supermarket post). Well I decided to have another go at finding it, so I found them on google maps, took a photo of the map and went off in search of it again (all of this wouldn't be necessary if I had a proper mobile phone plan and I could use GPS to find it! But that is coming soon I hope!). I caught the train into Shibuya (that's the place with the crazy busy pedestrian crossing I have taken photos of), where the shop is. Shibuya is right in the middle of downtown Tokyo and I will do a post about it sometime, but safe to say that this picture is indicative of the quantity of traffic that flows through Shibuya. While in this shot the traffic doesn't look busy, the amount of concrete holding up that freeway is impressive. So on I went, and eventually found it! It turns out that last time I tried to find it, I didn't go far enough as it was a further 5 minute walk from where I stopped last time. I was a little worried though as the time was approaching 3:30 and they take the last lunch order then so that the staff get the chance to sit down and have a break before the dinner rush starts. I made it there with about 3 minuted to spare. Now this is not a ramen place that a ramen purist would go to as it is not traditional, more like fusion ramen. 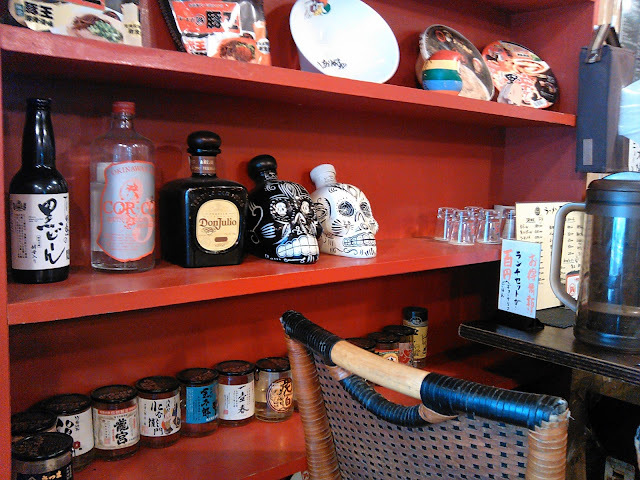 For those in Tokyo who are curious, here is their website (http://www.n-nagi.com/). 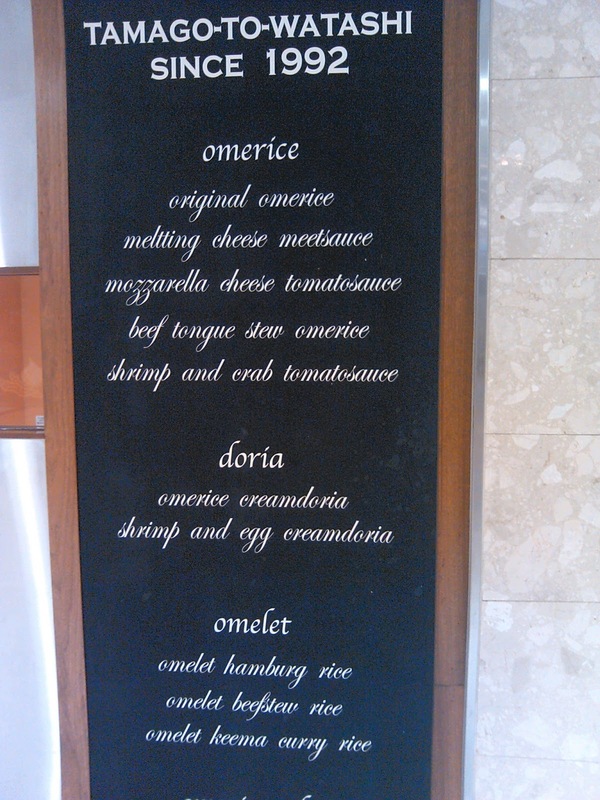 Here is a picture of their basic menu. 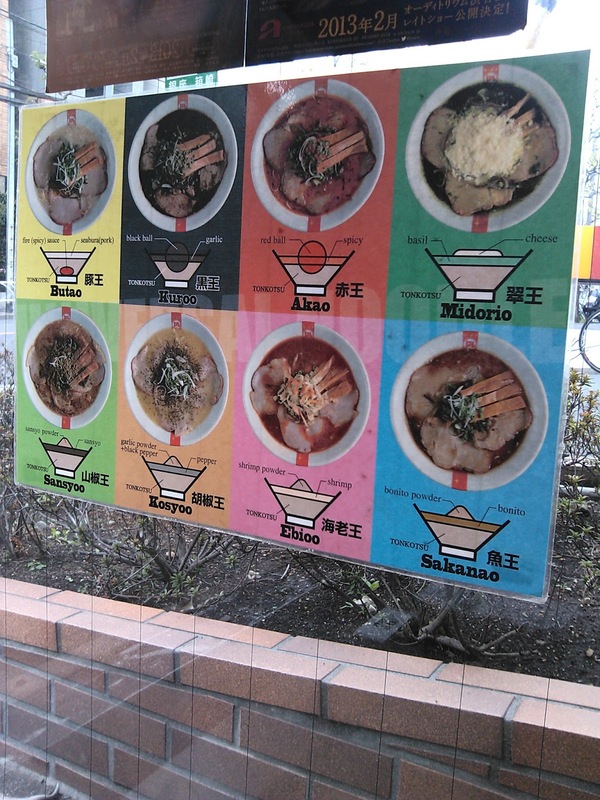 The soup is actually tonkotsu, or pork flavoured soup, but where they put their own twist on it is by adding flavour balls, or other ingredients that alter the flavour. 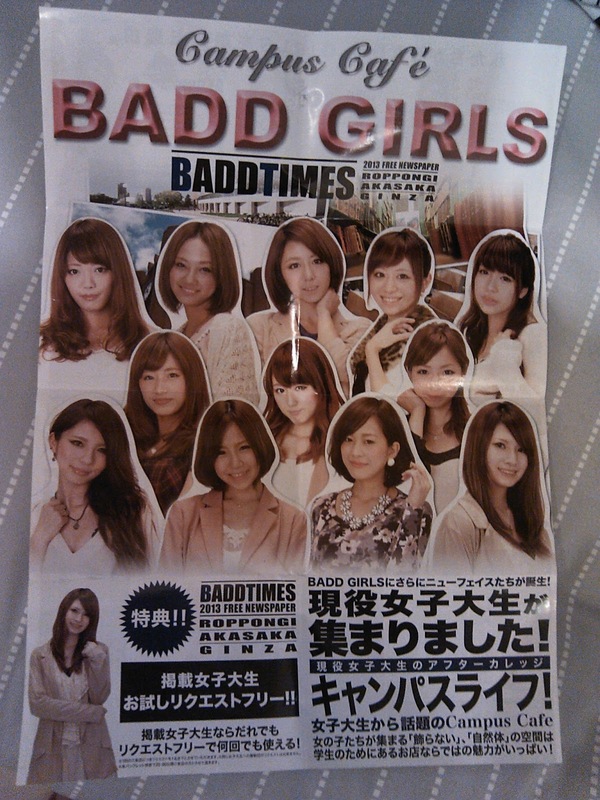 For example, the one I had is on the bottom row, second from the left. This one is flavoured with black pepper and garlic. I asked them to spice it up a bit, and did they! It was great, and definitely got the blood flow going! They even have a basil and cheese flavoured one (top row, right hand side)! While I was waiting for it to come out, I had a bit of a look around the shop. I agree with the second one. 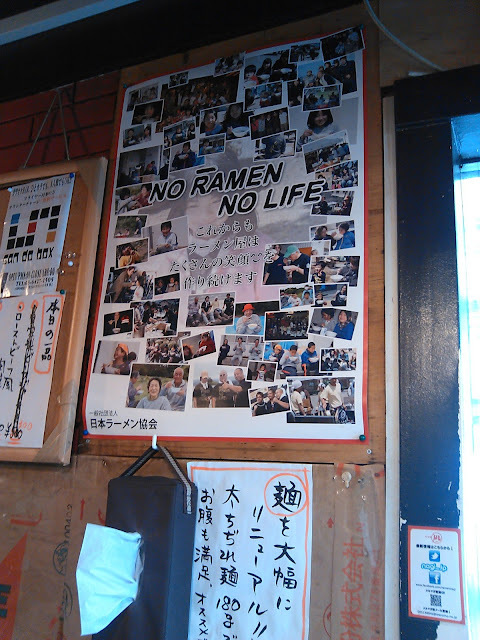 "No Ramen, No Life!" It was put out by the Japan Ramen Association! 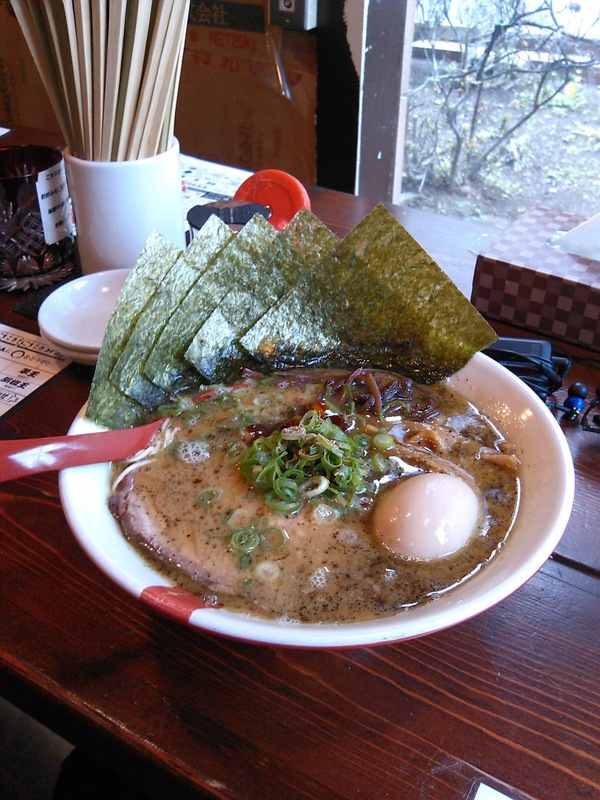 and content, I sat there enjoying my ramen, watching Tokyo pass me by through the window in front of me. waiting patiently for the traffic lights to change green. Why hurry, I mean, this is one of the safest countries in the world! There can't be much happening that needs them to get there in a rush. Satisfied and with my belly full, I thanked the friendly ramen shop guys and made my way back to the station to catch a train to the location of my weekly adventure. 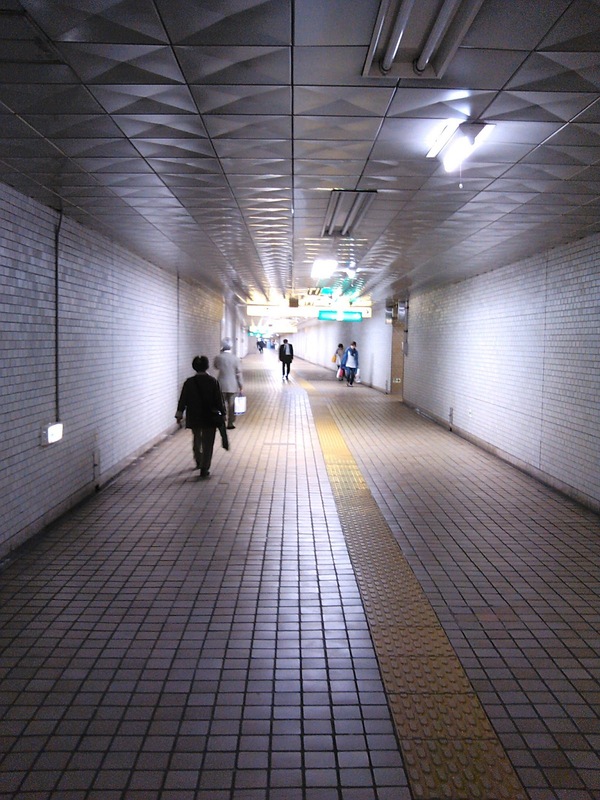 Riding trains in Japan is an adventure in itself. If you are observant, there are so many interesting things happening. 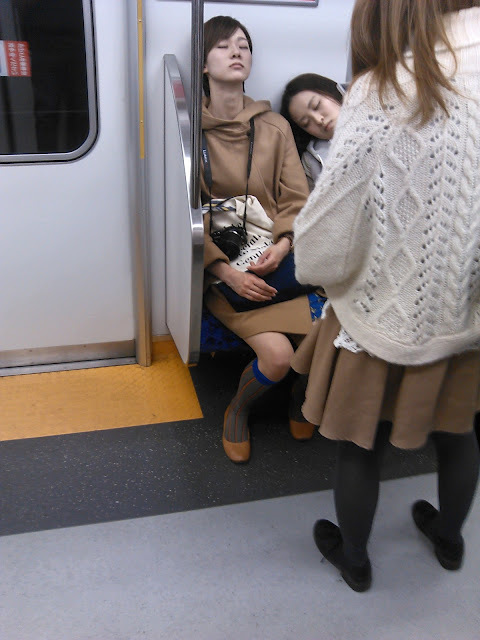 I'm sure a lot of you have heard about the people of Japan using the trains as mobile napping spots while travelling to catch up on sleep missed from the night before. 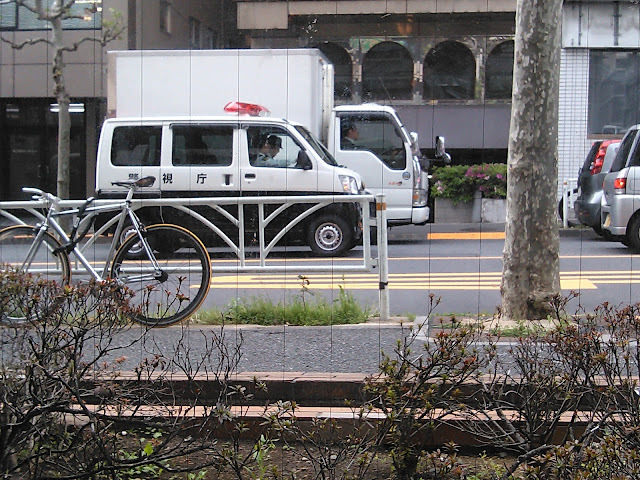 Because Tokyo is such a big city, it is not unusual for people to have to commute for well over an hour to get to work, and then again to get home, so that doesn't leave a whole lot of time for sleeping at home. I thought this was quite cute. They weren't complete strangers, however as when one woke up, she woke the other up when they reached their station. So I arrived at my station and got off. I had been riding the subway, and didn't realise how deep the train had gone until I got on to the escalator to head back to the surface. Talk about ascending out of the bowels of Mordor! I finally got off at the other side and made my way through the ticket gate and to the nearest map of the area on the station wall to get my bearings. I found the exit that I needed and set off. The area was a whole underground labyrinth of tunnels and walkways, and I had to have chosen the exit that was furthest away! After walking for more than 5 minutes (all the way underground), I found myself in another walkway that also stretched as far as the eye could see. Luckily for me, my exit was the next one about 30 metres ahead. 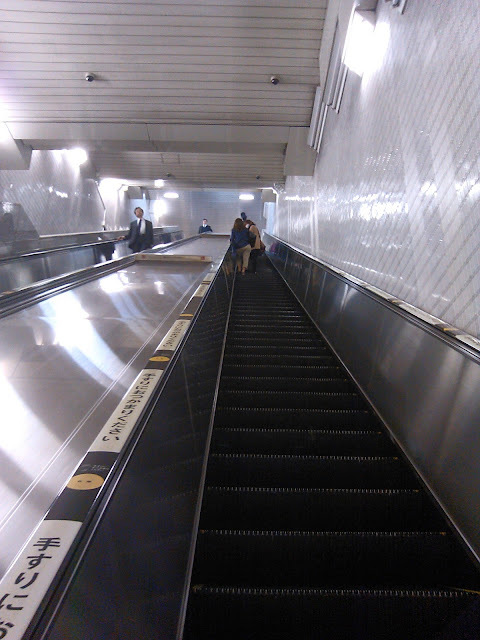 As I was climbing the stairs, I saw something that I see quite often in train stations here in Japan. 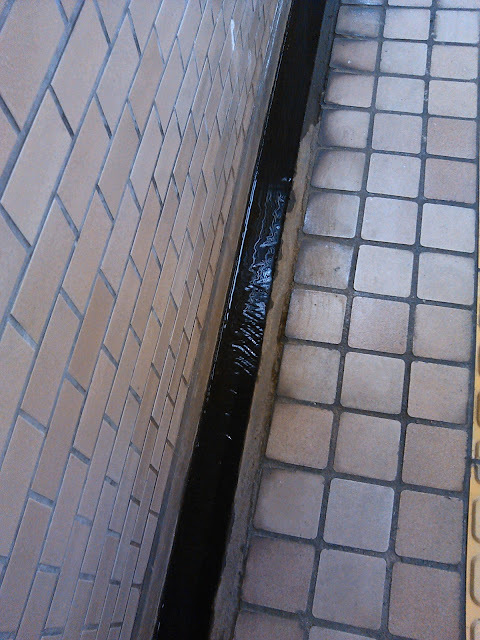 On either side of the path was a little gutter with water running along it. I don't know where the water comes from, or where it goes to, maybe that can be an adventure for another day. I reached the top of the stairs and made my way out of my underground lair to see what lay around me. 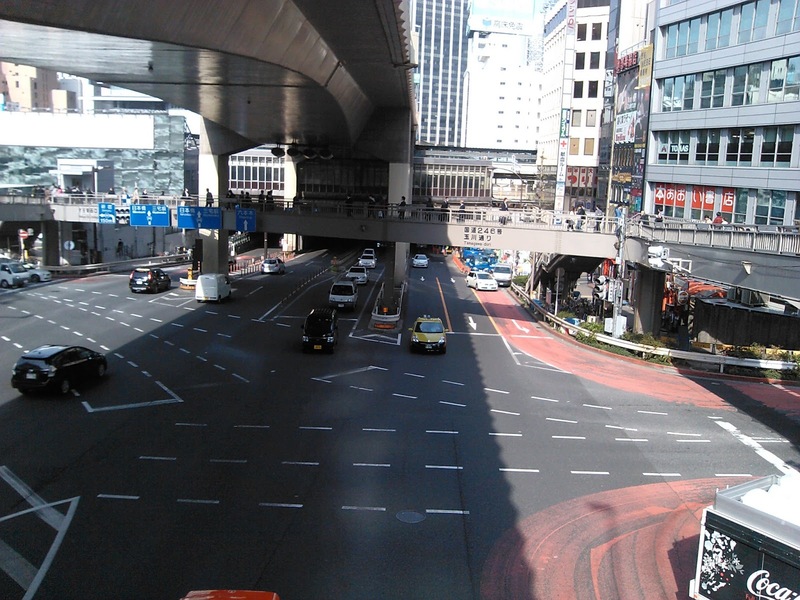 I had arrived in Otemachi. This area was the site of the ancient village of Shibazaki, the oldest part of Tokyo, and for many years, the land remained in the hands of the feudal rulers who used the land for their own residences. 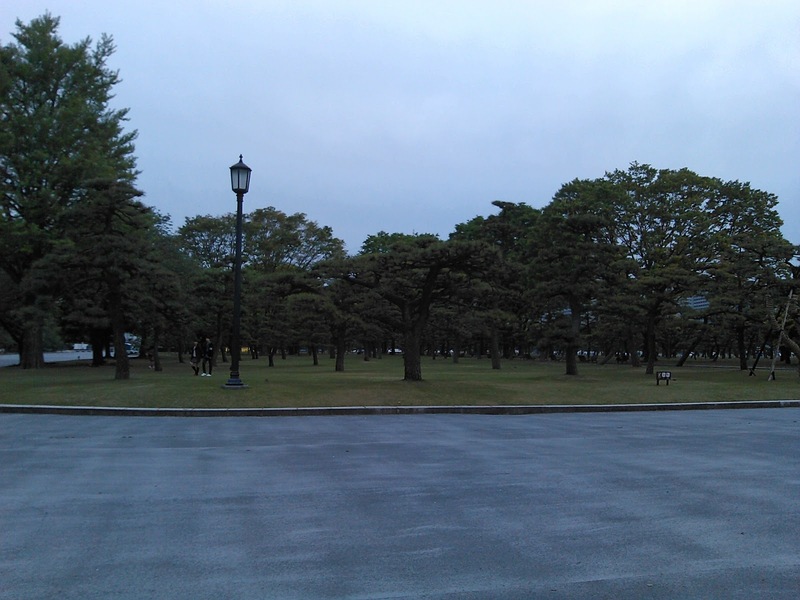 At the start of the Meiji period (1860) the government took back ownership of the land and held it until selling it off to private ownership to raise funds. 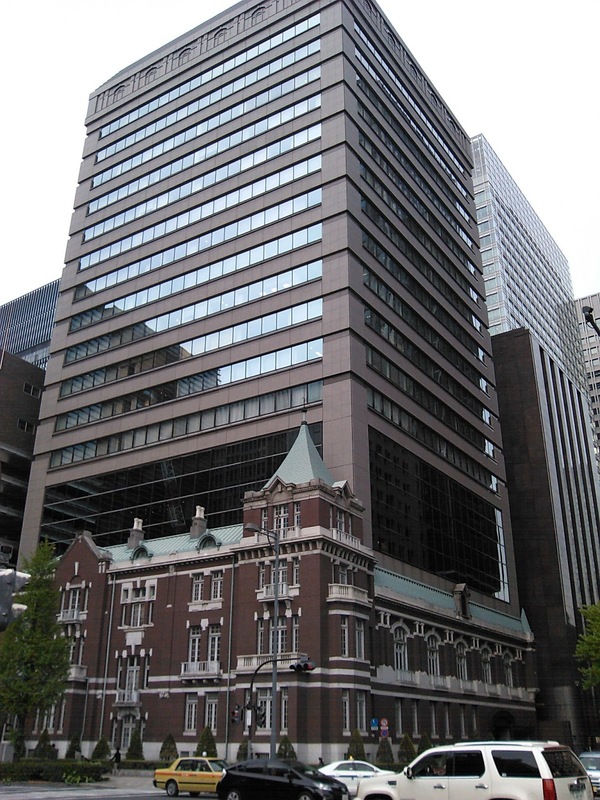 It is now known as an area of Japanese journalism as all of the major Japanese newspapers have their offices in the area. The area is now dotted with office buildings. This older (European?) style building had another more modern building growing on top of it! 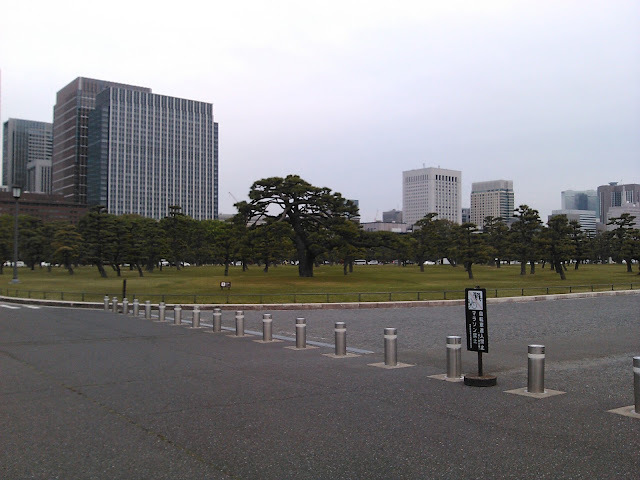 Otemachi is also right on the door step of the Japanese Imperial Palace which has some nice gardens to walk around and relax in, which was what I had planned for the afternoon. I got to the gate of one of the palace gardens and noticed a closed sign on display. I went to the security guard and asked if they were closing and he said yes, they close the gates at 4 and the garden itself at 4:30. I had just missed out. For a very brief moment I contemplated doing a Dawn Fraser (without the stealing of the flag bit). For those of you who are not aware of what this is, here is the excerpt from the entry for Dawn Fraser on Wikipedia. The following happened at the 1964 Olympics held in Tokyo. "She was accused with stealing an Olympic flag from a flagpole outside Emperor Hirohito's palace. She was arrested but released without charge. In the end she was given the flag as a souvenir from the Emperor." 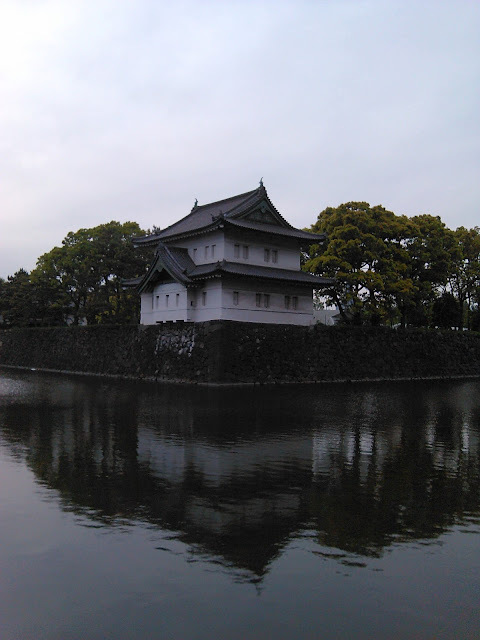 She had allegedly swum across the moat surrounding the Imperial palace and stolen the flag. To this day, she denies doing it saying that "there was no way I would have swum that moat. 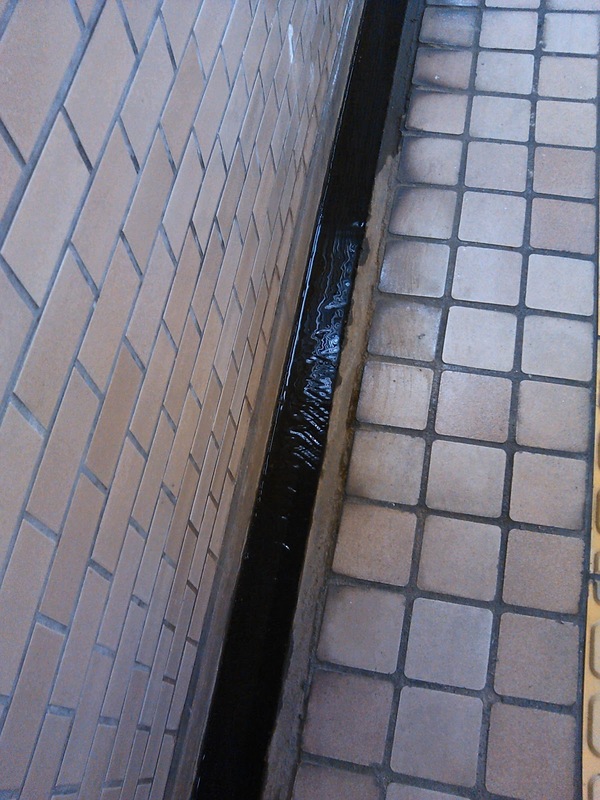 I was terrified of dirty water, and that moat was filthy". I had to settle for taking a photo from outside of the grounds. Disappointed that I had missed the chance to have a look around the Palace gardens, I decided to have a walk around of the outside of the Palace grounds. 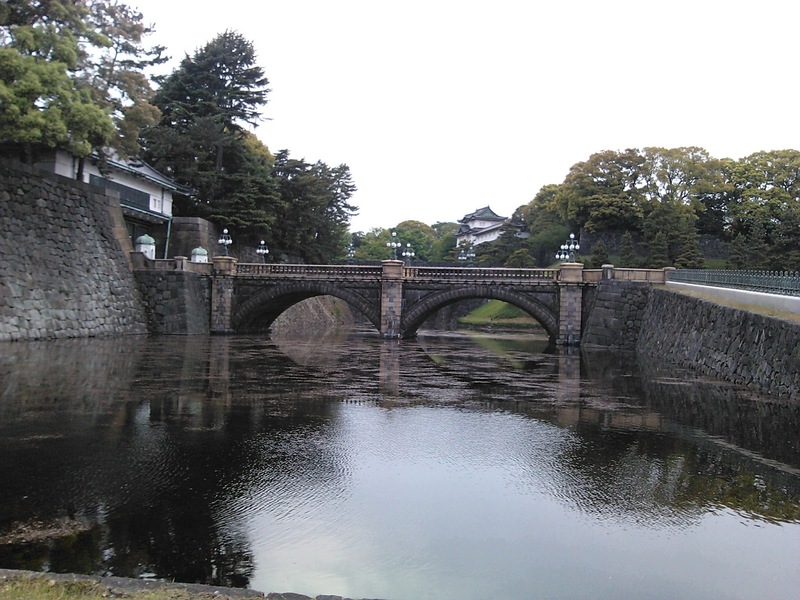 I remembered hearing about a bridge in the area that was quite historic. I set off in the direction that I thought the bridge would be.. 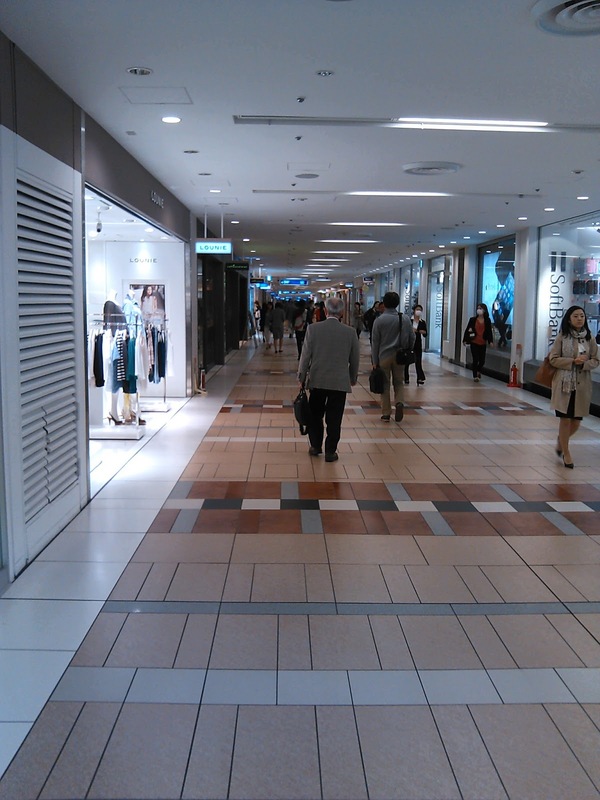 The area that I had to walk through was some of the most spaciest I had seen in Tokyo. I eventually reached it, and it was a pretty impressive sight! I headed back the way I had come wanting to wander over to the area around Tokyo station as I had heard that there had been a lot of work down on the station, and especially the exterior. I walked back past the Imperial Palace and made my way through Otemachi. 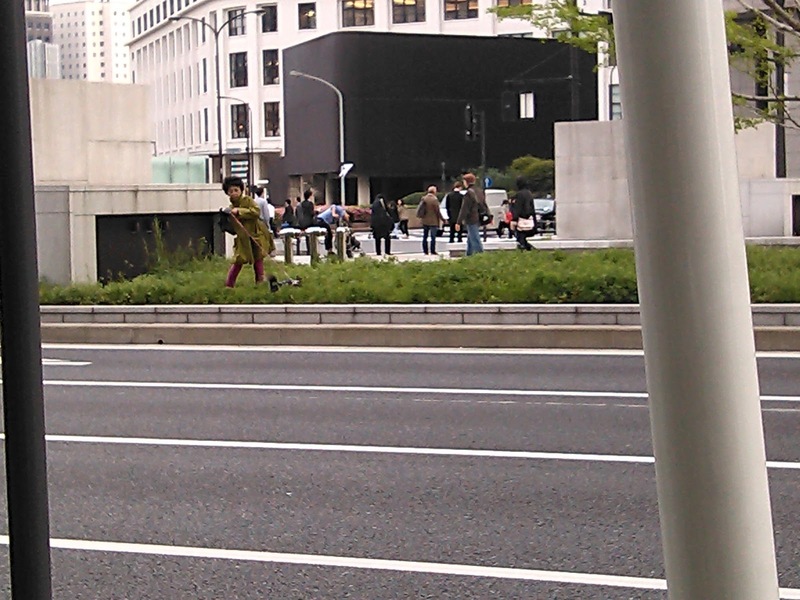 I noticed a lady and her dog on the median strip in the middle of the road. I have no idea what they were doing. Maybe the dog had to go! A little while later they walked past me, and the dog was dressed up very nicely! This statue looked impressive, so I stopped to take a photo. Now that I am back home, I have been able to look up who he was. His name is Kusunoki Masahige and he was a samurai warrior in the 14th century who served the emperor of the time and who is, and was, held in the highest regard as samurain loyalty. 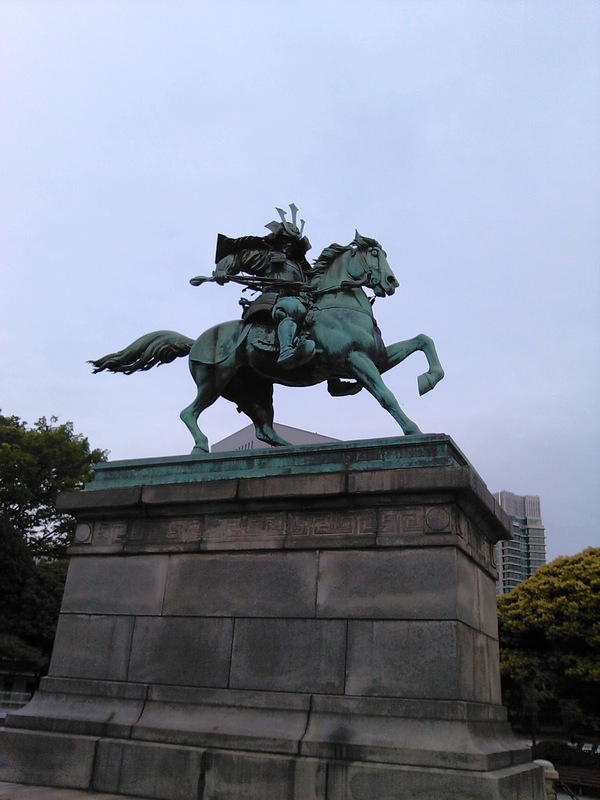 He posthumously received the highest decoration of the day form the Meiji era government in 1880. For more of a read on him check his wikipedia article (http://en.wikipedia.org/wiki/Kusunoki_Masashige). 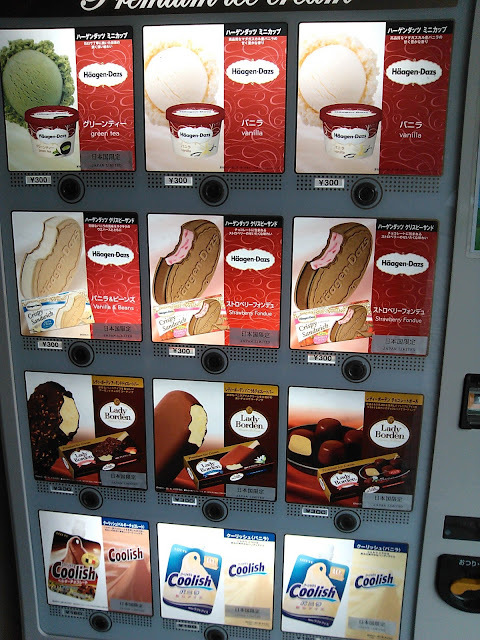 Feeling a bit tired and in need of something refreshing, I spied the perfect vending machine. The Haagen Daaz ice cream I had hit the spot and I moved on toward Tokyo station. I always have a smile when I see these buses. 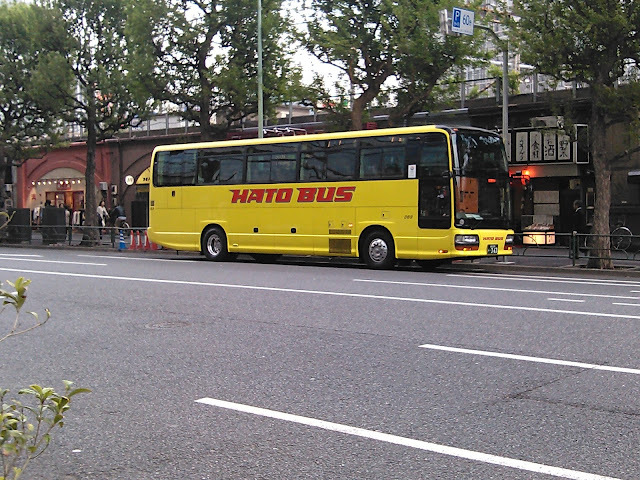 The word "hato" in Japanese means "pigeon" so I always smile when I see the "pigeon" bus! 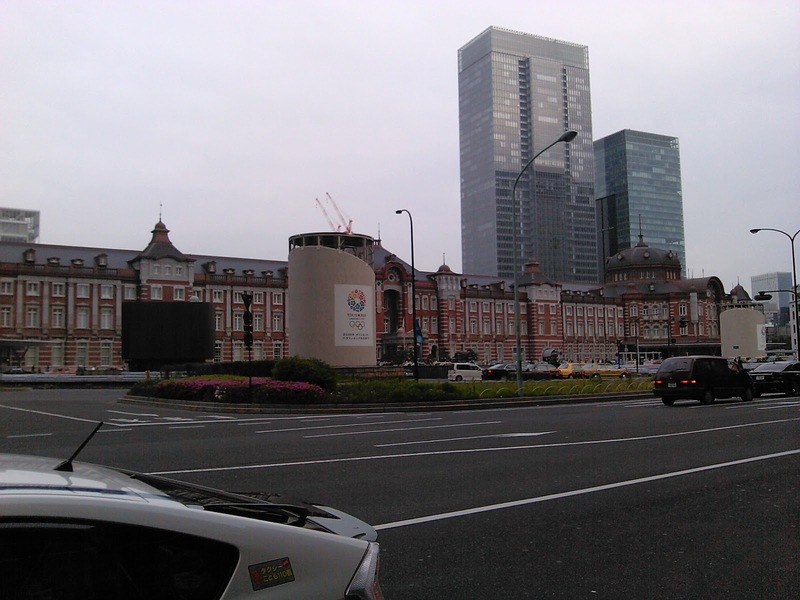 Pretty soon I arrived at Tokyo station. It is quite spectacular in design and it's external appearance would not look out of place in a European city somewhere. 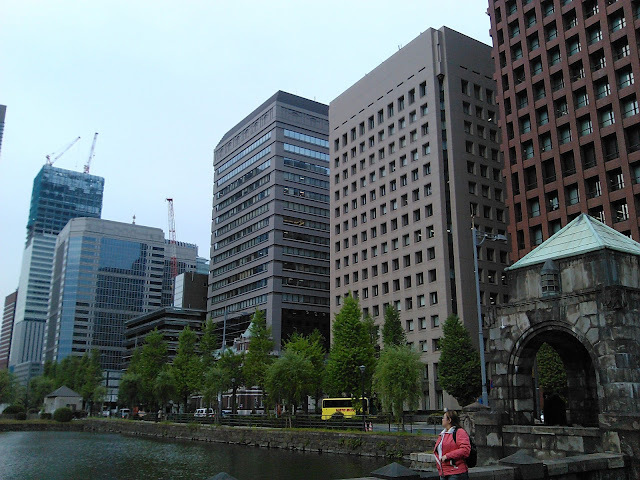 Tokyo station is also where a lot of the bullet rains arrive and depart from. The reason I wanted to go here lay on the other side of the station. The other side of the station is the suburb of Yaesu which is predominantly a business area. Yaesu looks pretty ordinary , and not much to be impressed about, until you head underground. Here is where it gets more interesting. Underground is another one of those labyrinth like areas that houses a lot of shops and restaurants. "How many restaurants" I hear you ask. About this many! It stretched out beyond how far I could see, and I have 20/20 vision! The range of cuisines was pretty impressive too as you can see. 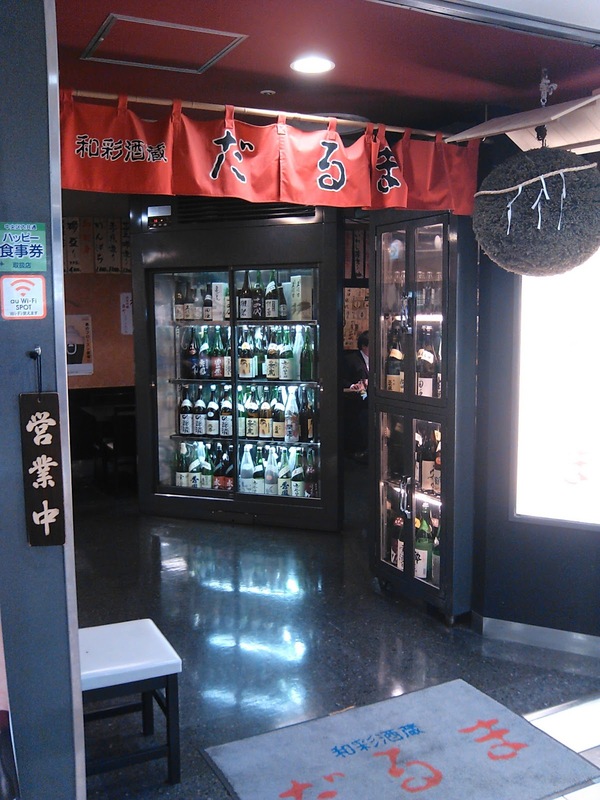 In Australia we have wine bars, in Japan they have sake bars. An omu rice (omelette rice) restaurant. 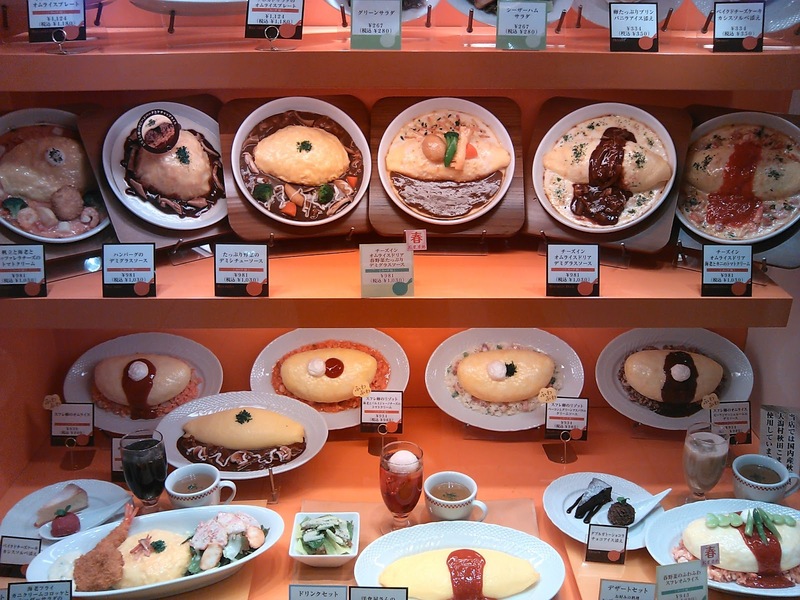 Some of you might know that most restaurants in Japan have plastic models of the food they serve displayed outside of the restaurant, and that is what all of these photos are of. 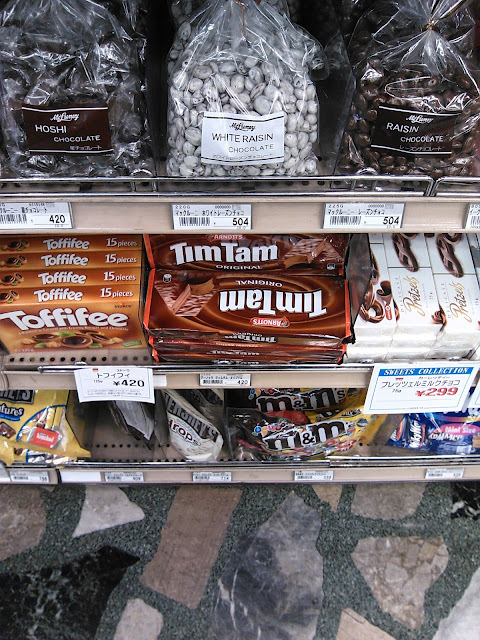 There is a suburb in Tokyo that has factories where these are made, and one day I will visit there. 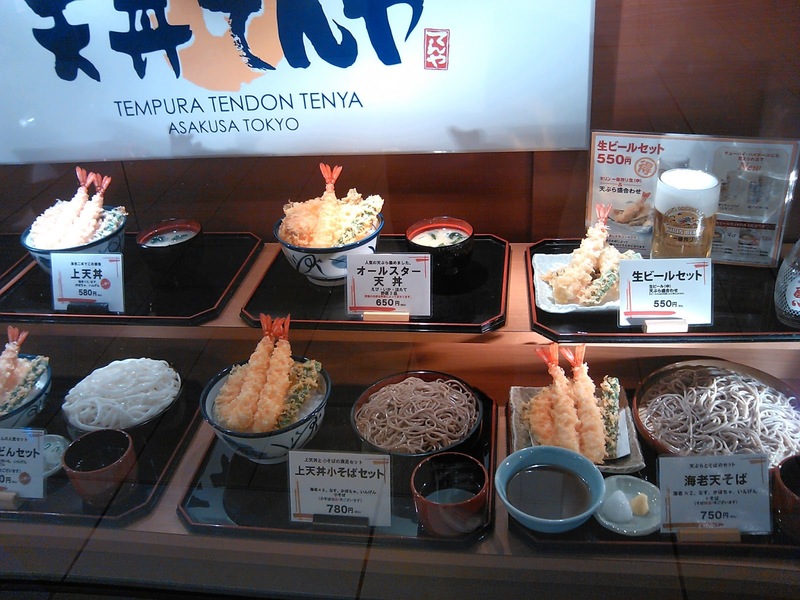 They are, unfortunately, pretty expensive as I would love to get one of my favourite food! Next on was this place. I think it is maybe different kinds of Chinese food (for my Japanese readers, if I get any of these wrong, please feel free to correct me). 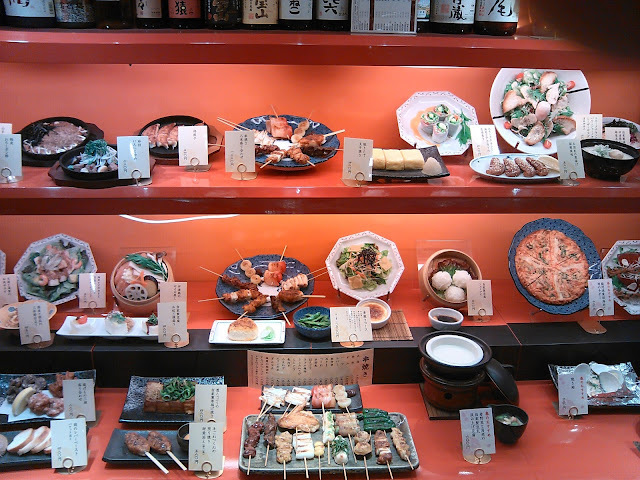 This one was next, and looks like an Izakaya (Japanese dining bar) that serves different kinds of food. I could have gone on and on, but after about an hour, I hadn't even covered half of the underground area and decided that it was time to head for home. I found the nearest exit and headed out. By this time, I was a fair way away from where I had entered and found myself in an area that I didn't know. I figured that I would just start walking and would soon find a landmark that I knew, or a train station that would give me an idea of where I was. I love doing this, just wandering around and exploring, and what better way to do it than by getting lost! Looking down the road I had kind of an idea of where I was, and this was confirmed when I came across an imported foods supermarket. I walked inside for a look and the first thing I saw was a $7 bottle of juice. I was in Ginza, which meant that I was heading toward the suburb where I work, Shinbashi. Ginza is one of the most luxurious shopping districts in the world. 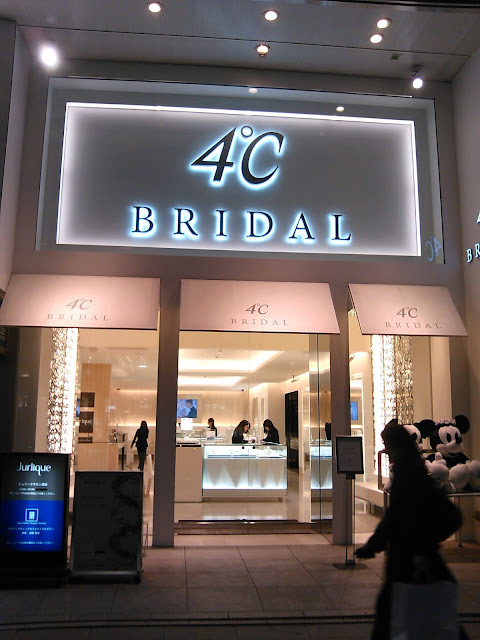 All of the high-end brands have shops here and it is known to have the most expensive real estate prices in all of Japan. I made my way out of the shop and continued on. I cam across this shop and wondered if it was the inspiration for Billy Idol's hit song "White Wedding"
Pretty soon I walked past a subway station that confirmed that I was heading in the right direction. 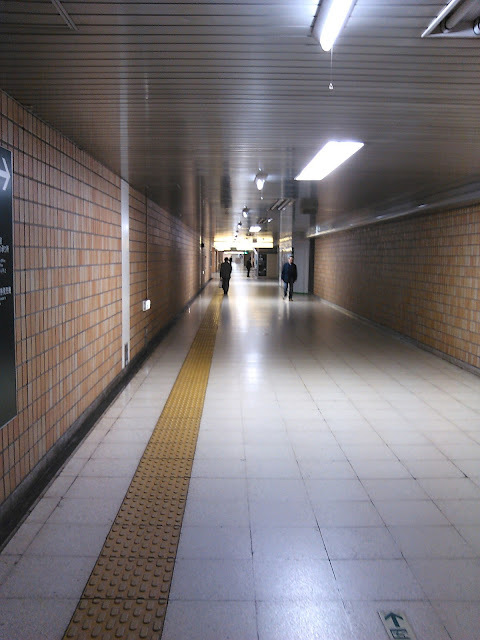 Outside of a lot of stations, they sometimes have people handing out advertising material, usually tissues with advertisements for a product or shop. Now most of the time they don't give them to foreigners. The reason is, most foreigners can't read Japanese, and therefore their advertising message is falling on deaf ears, or eyes in this case. Passing this station, however, the person made sure I took one and holding back my curiosity, I put it in my pocket to look at later, when I got home. 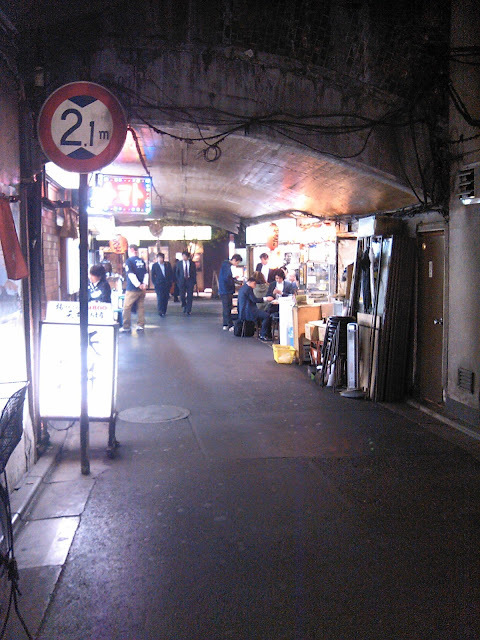 Nearer to Shinbashi station, there are areas around and under the train tracks that house small cheap eating places that are popular for the salary men who work in the area. By this time, it was getting close to 8pm, so the area was buzzing with activity and salary men eating and drinking and unwinding after a hard day at the office. 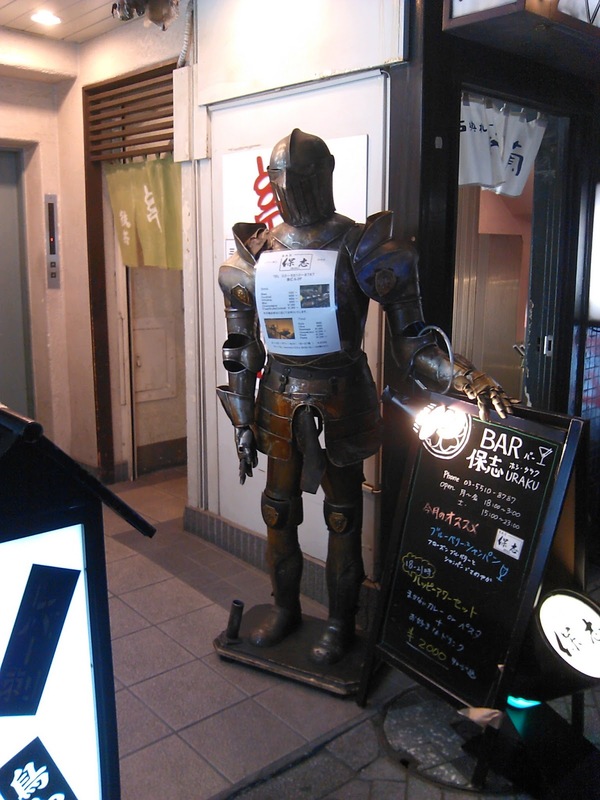 Next on, I saw this guy outside of a bar. 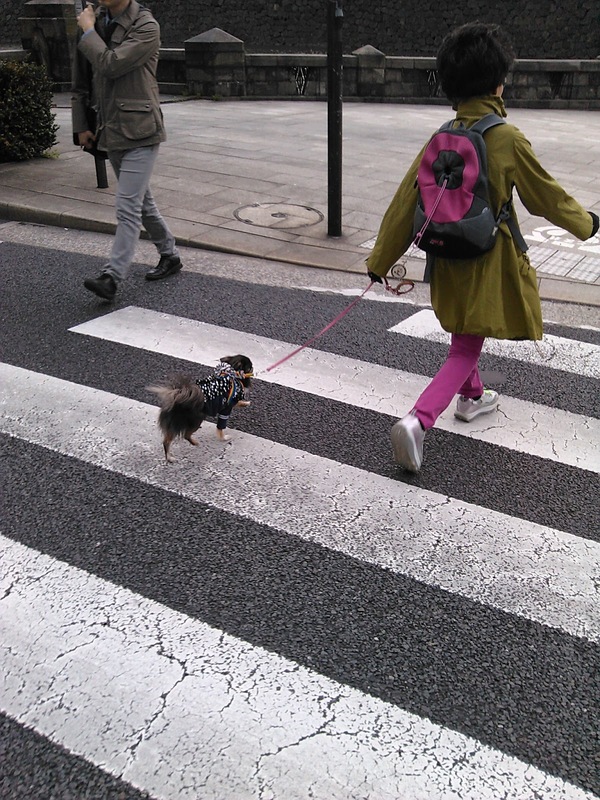 You've just got to keep your eyes open in Tokyo because you never know what you might miss! I stumbled across this restaurant and contemplated for a moment if I was feeling hungry before dismissing the idea. It looked like the waitresses inside were singing and dancing for the diners. Another time maybe. 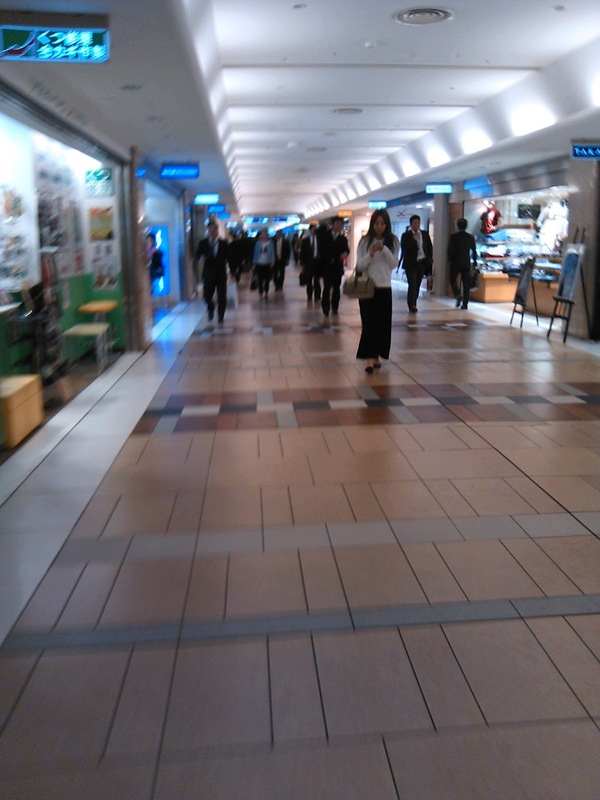 I finally found Shinbashi station and got on the train to go home. I figured I probably walked over 10km today, and found myself dozing as I took the train home. I got home and napped for a little before having dinner. In the next couple of days I am going to buy some tickets to the Japan v Australia World Cup qualifying game here in early June. Out of a party of 8 people going, I will be the only Australian supporter, but we will be in the Australian supporters area!! Anyone have a Socceroos jersey that I can borrow?!! So, what was the advertising that I was given walking past the train station I hear you asking? No, I don't think I will. 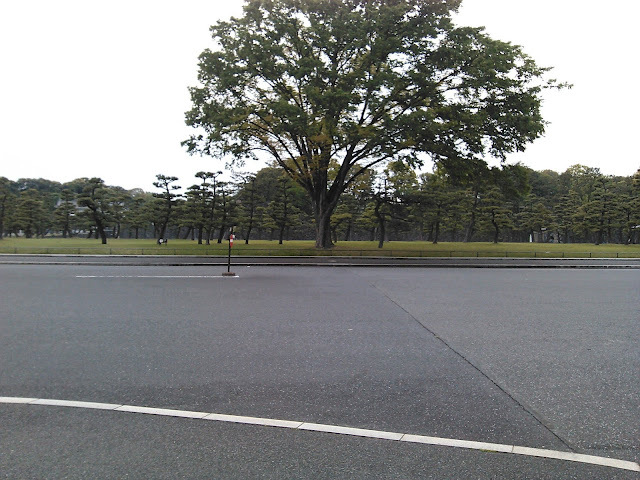 What I did do, though was get online and organise to join a guided tour of part of the Imperial Palace. That will happen on the 22nd of May, and I am looking forward to that! That's it for another week. 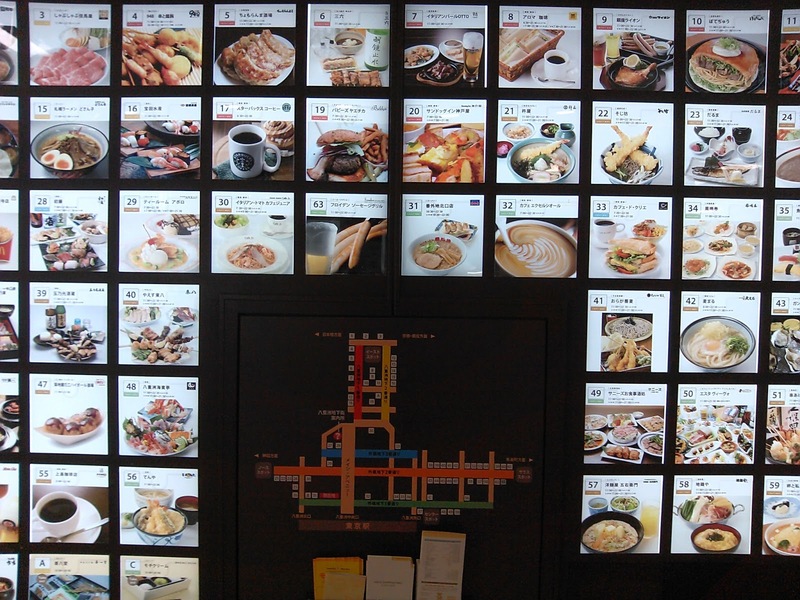 I hope you enjoy reading and looking as much as I enjoyed getting lost in Tokyo today! Hi Jason,as always your comments are informative and interesting:especially as I have had 10 weeks in total in Nihon,but only 2 days in Tokyo.I was fortunate enough to go to the Palace gardens and enjoyed that.Eating Italian in Japan was good...dined at several good pizza places etc.Preferred udon to soba or ramen,it was one of my favourite dishes whilst travelling around and so cheap!.My sister who has just arrived back home,said the food prices were cheap compared to Aust.I agree,if you stick to sushi,noodles and pancakes and pizza.As you say travelling by train can be fascinating...so many different people and colourful outfits,especially by the young women.It is indeed uncanny,how they doze off and somehow manage to wake up at the right stop.It doesn't matter too much in most cases if they miss their stop as trains at peak hours run every few minutes.I have been thinking that perhaps you could put your writing talents to good use....maybe a newspaper or magazine would be interested in your "columns".The Dons continue to perform well and even Port...but they have some harder matches coming up and the Crows unfortunately,not going so well and have now lost Taylor Walker for the season with an ACL injury.One thing you may be able to tell me..how do Nihon-jin "spell" their kanji names, when giving their names over the phone?Ganbatte..Noel. I might have to get some travel tips from you when i spread my wings and travel beyond Tokyo. I have a trip to Hiroshima lined up in late July and one to Kyoto in early September. 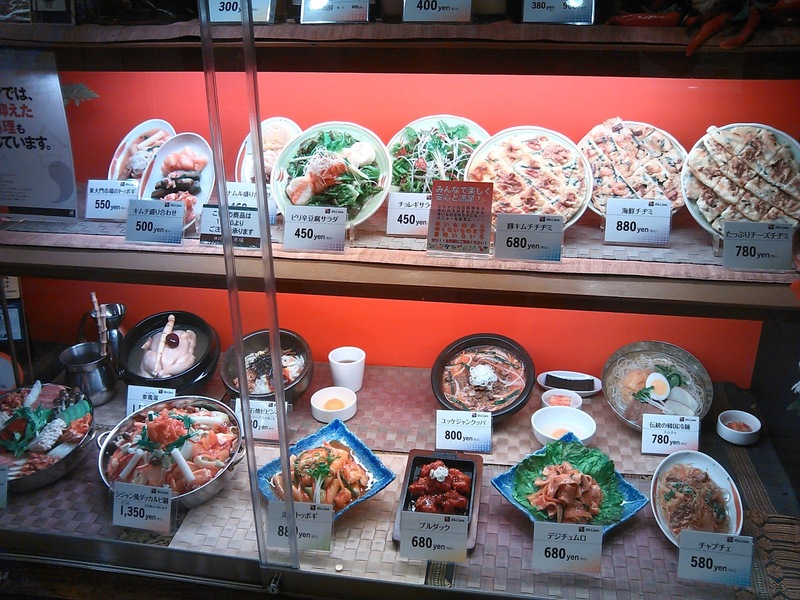 Your sister is right, and as you know yourself, in Japan there will always be expensive eating places to be found, but there are also great cheap places everywhere too. I guess that is why the Japanese eat out so often. 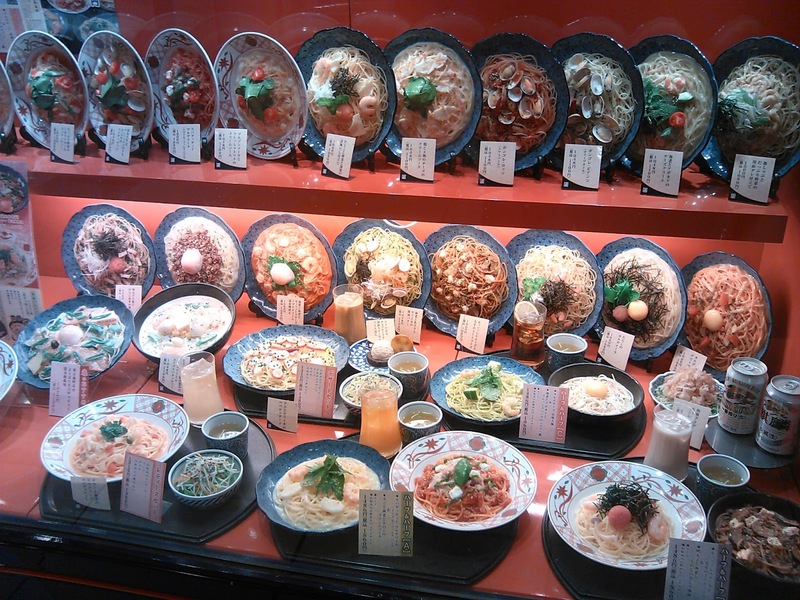 I also like udon, it has a really nice texture that soba and ramen don't have. Did you ever try curry udon? I have been able to watch some Bombers game highlights on youtube. I just hope they don't fall apart this season as they did last season. Fingers are crossed. Terrible news about Walker, that is a big loss! The question about Japanese names over the phone is an interesting one. I guess you mean when someone calls a restaurant to make a booking, how do the restaurant staff write the person's name down? I can only guess that the name would be written down in Hiragana on the receiving end because they wouldn't know what the actual Kanji is! Good question! Interesting blog! I like to read the articles about Japan. Your guess about spelling Kanji is right. Restaurant staff write customers' name down in Hiragana or Katakana. But there are some ways to spell Kanji. 1. Tell the meaning of the Kanji. For example, "Sato for countryside, Mi for beauty." 2. Tell another pronunciation of the Kanji. Most Kanji have more than two pronunciations. 3. Explain how the Kanji looks like. Some Kanji parts have a name, which makes explanation easy. thank you for the explanation. 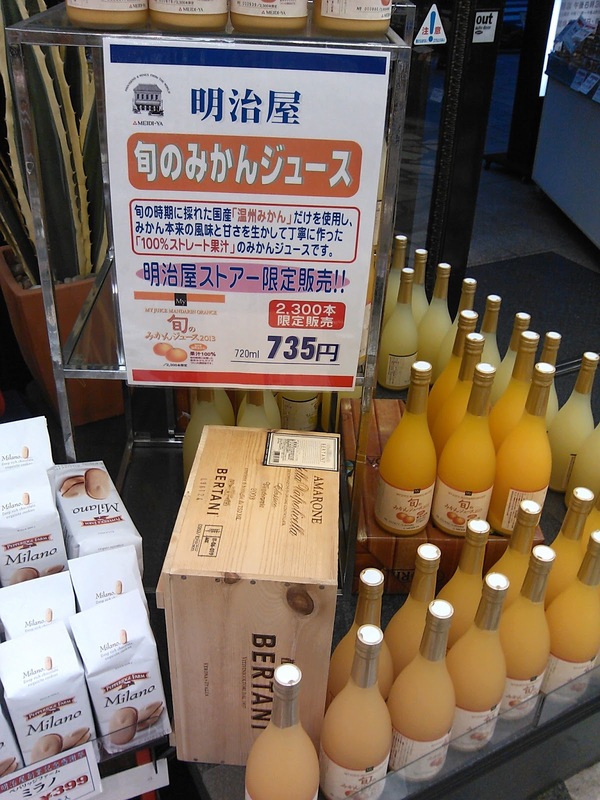 It is good to get a Japanese person's explanation as I am far from being an expert on a lot of things here! Thanks for reading the blog. I hope you are enjoying reading it as much as I enjoy writing it! Hi again Jason.Did not go to Hiroshima,so can't help you there. However,I went to Kyoto in 2003 and 2007 and stayed 4- 5 days each time and may be of help there.Some friends of mine in Yokkaichi(Nihon-jin)had only been to Kyoto twice,even though they had lived in Mie ken for 50 years and were not all that far away.They had gone there do some shopping on a day trip and that's all.They asked me if I could give them an idea of where to go to see some sights,that they could do in a day,by foot.Well,I gave them a route to follow and they were absolutely thrilled with what they saw and did,with what I had suggested and furthermore;had a bit of a laugh to think it took a gaijin to point them in the right direction.It is often the case that tourists get to see more of their country, than they do.On my second trip,I stayed at the Kyoto Traveller's Inn in Eastern Kyoto.It is in an excellent location and I only paid about $60 a night for a room on the top floor(about the 4th floor) and the room had 2 single beds,toilet,shower, clean sheets/pillow cases/towels every day and tooth paste and soap.There is a community bath in the basement,which I did not attend and a breakfast/coffee room on the ground floor.This you might describe as a budget hotel on a small scale,but I could not fault it.It is close to some of the best sights in Kyoto and about 25 minutes walk to Shijo-dori the main street and the Gion district.It is very close to the Heian Jingu.I think you would be hard pressed to find better value than this in Kyoto.